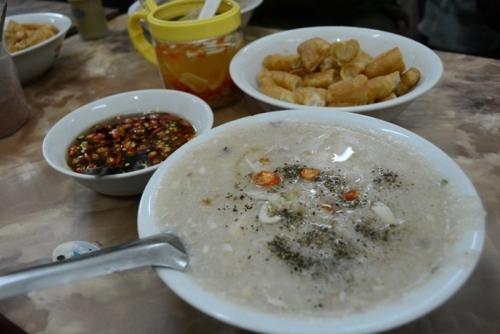 broth of soup has sour and fragrant flavor because it is mixed with tamarind juice, not normal vinegar. 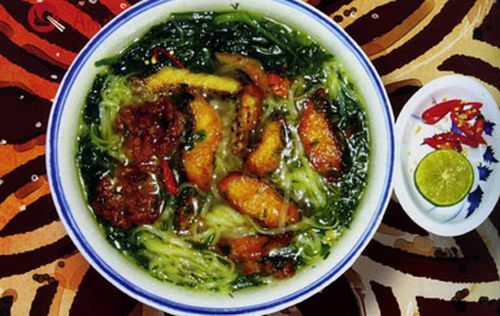 To enjoy a tasty and fragrant bowl of fish noodle soup, you can visit famous Hanoi eateries on Xa Dan street, Ton That Tung street, Tran Huy Lieu, and Nguyen Khanh Toan streetwith prices of VND30,000-VND45,000/bowl. 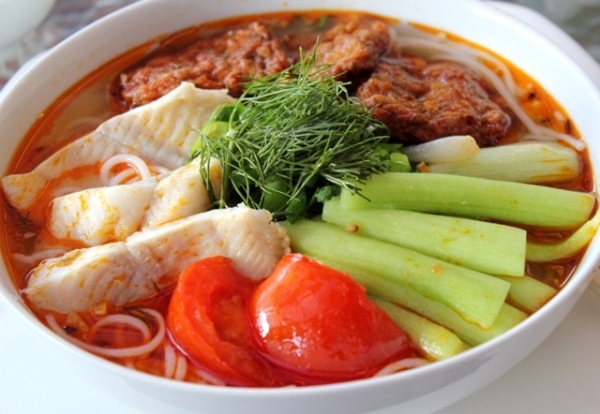 This cuisine comes from the northern port city of Hai Phong. The specialty is made from rustic materials of countryside such as fish, vegetable, and ricebut is skillfully processed to create a tasty and fragrant dish. You can enjoy this dish on Chua Lang Street, Hanoi for VND30,000/a bowl.